The human body with all its anatomies is one of the most complete and complex, naturally made machine known to mankind. Even with all the modern science and bioengineering advances the human body’s wide range of functionality and flexibility is a marvel not many manmade machines can repeat either in isolation or in complete totality. One such complex muscle found in the human body is the gracilis muscle deriving its name from the latin word slender and is located in the inner thigh region of the body. The primary function of the gracilis muscle is to enable the human body to bend the knees turning towards the middle of the legs. Although most exercises working on the legs have a significant impact on the gracilis muscle in isolation, there are a number of specific exercises aimed to target the exact location of the gracilis muscle. Before we take a look at some of the recommended exercises that one must have in his or her exercise schedule to work out the graciis muscle, it’s important to understand a brief anatomy of the gracilis muscle. The human legs are made up of a number of muscles which enables us to have a free flowing movement and flexibility. Gracilis as the name suggests is a slender muscle in the inner thigh region also medically known as the adductors. The basic functionality of the gracilis muscle is to enable or allow the pull between the thighs in an effective manner. The gracilis muscle is a long muscle that crosses the knees and is also responsible for flexing of the legs in addition to provide stability to the inner thigh region. Now that we have a significant idea about the anatomy and the functionality of the gracilis muscle, let us take a brief look at the top 5 recommended exercises to build good and strong gracilis muscles. One of the biggest misconceptions a lot of people and body building enthusiasts have is that sumo dead lifts works only on the back and the hamstrings muscle in the legs. The sumo dead lifts are infact one of the best garcilis muscle exercises that can bring out a total workout of the thigh muscles including the gracilis. 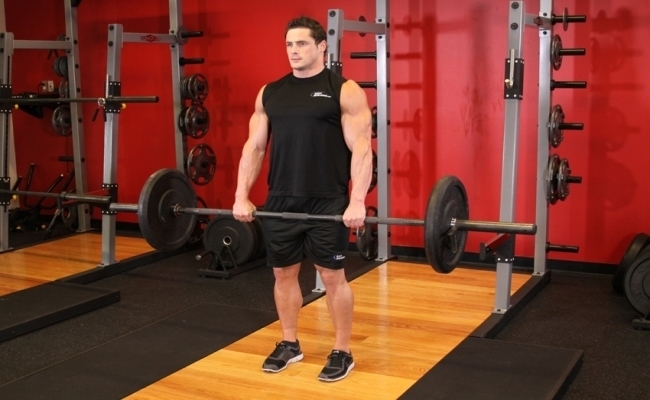 Sumo dead lifts are performed by standing against a loaded barbell rod with feet shoulder width apart. Pushing the knees back and with a bent back, move into a squat position and lift the barbell rod by contracting the body core muscles. Lift the bar till the shins or the thighs and lower the rod in a repeated mechanism. Perform 3 sets of 12-15 repetitions each for best results. Seated hip adductions are performed on a machine in the gym built exactly keeping in mind the target areas of the legs, shins and the thighs. Sitting on the machine with legs placed under the foot platform, lift the legs to a horizontal position with toes pointing upwards. 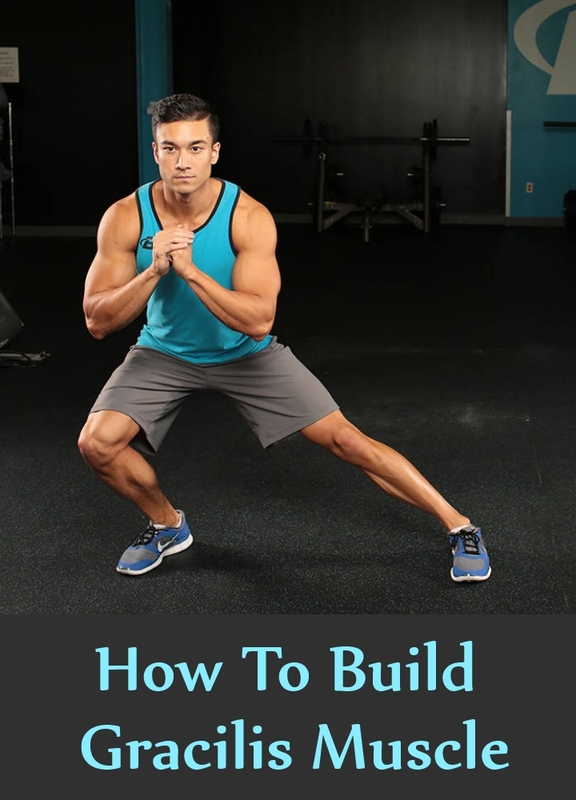 Hold the position and lower the legs to the starting position. Perform 3 sets of 15 repetitions each. Swiss ball extensions are performed while lying on the floor with a swiss ball held between the lower legs parallel to the floor.Slowly raise the legs till the legs are fully extended keeping a squeeze on the swiss ball at all times. 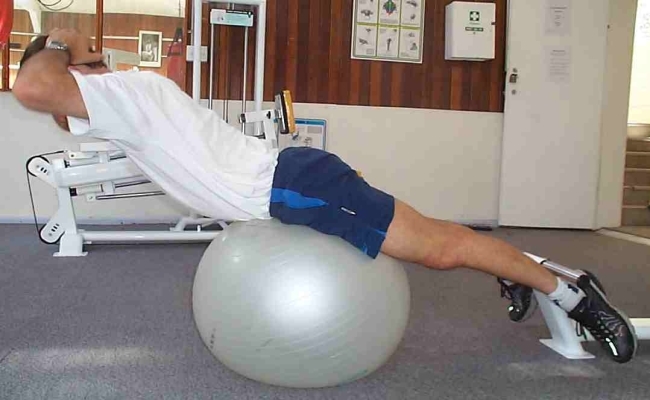 Swiss ball extensions can be performed after the gym session or even after a round of jogging or brisk walking. Butterfly is a very widely recommended isometric exercise that strengthens the gracilis muscle at whatever position it is held. Butterfly is performed by lying on the floor with knees flexed bringing the feet on the floor. Request your gym instructor or exercise partner to place his hands on the inside of the knees and push them for 4-5 seconds and repeat. Two sets of 7-10 repetitions are recommend for beginners. Side lunges can be performed in isolation or with a pair of small dumbbells depending on your workout program. Side lunges are performed by standing upright with legs should level apart, lunge the right or the left leg by transferring your body weight on the left or the right depending on the leg. Push off from the lunging position and return to original position. Repeat the process for the other leg. A minimum of 3 sets with 15-20 lunges for each leg are recommend to bring out the desired results.